KANSAS CITY, KANSAS (KCBD) - The Professional Football Writers of America have selected Patrick Mahomes, the Kansas City Chiefs quarterback, as the 2018 NFL Most Valuable Player of the Year and Offensive Player of the Year. 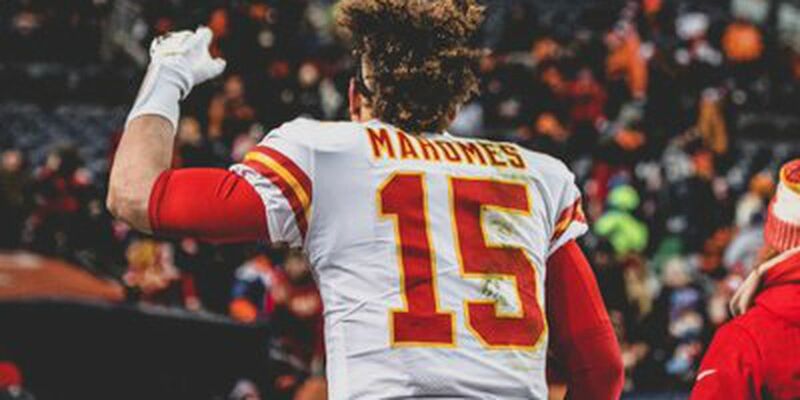 Mahomes has started all 16 games with the Chiefs this year and completed 383 of 580 passes, giving him a franchise record of 5,097 yards, according to a Pro Football Writers news release. This is his second season in the NFL and with his help has led the Chiefs to the AFC West title and a deep playoff run. Mahomes also leads the NFL with a +38 touchdown/interception differential, 52 completions of 25-plus yards and rushed 60 times for 272 yards and two touchdowns. He follows the 2017 quarterback of the year, Tom Brady, and 2016 quarterback of the year, Matt Ryan, in gaining this accolade. The association also chose Aaron Donald with the Los Angeles Rams as the 2018 Defensive Player of the Year. The Chiefs are set to play the New England Patriots at 5:40 p.m. Sunday on CBS for the NFL conference championship, where Mahomes will face off against the previous quarterback of the year, Brady.